Two weeks, sort of, to go (if you’re to believe the 40 week hype, which I have no reason not too!) and I’ll be having this baby. The nesting instinct is kicking in but it’s taken me outdoors and am suddenly on a desperate mission to garden and re-invent the rose garden! Have I mentioned the roses? There’s bloody loads of them and I can’t say I’m a fan. My Mum told me (a lover of roses) that I proberbly have well over $300 worth of roses here. Not that I give that much of a hootenanny it did stop me from digging them all out or cutting them off at the knees. Now here me out rose lovers. I like their blooms, love the scent, I know the hips are wonderful. 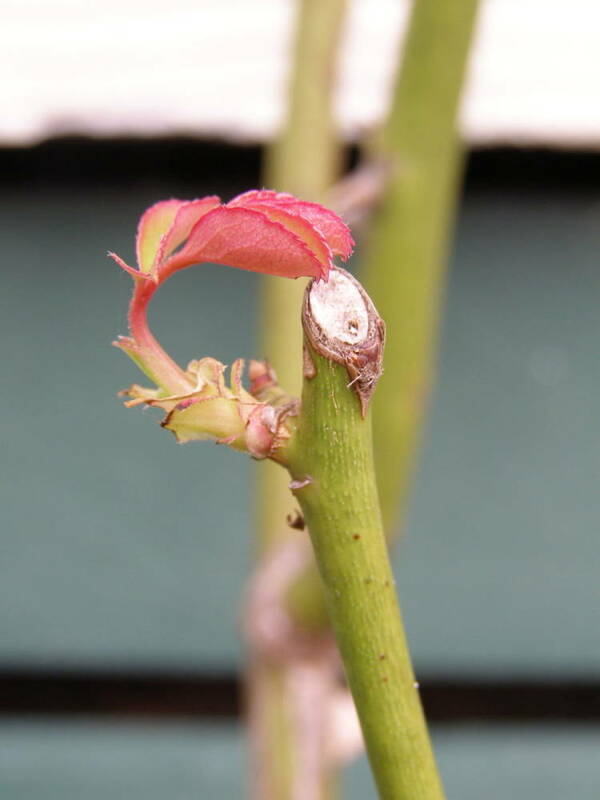 But you can’t put their prunings in the compost and when you’re doing them favours like weeding around them or pruning they go and blooming prick you! Nasty. 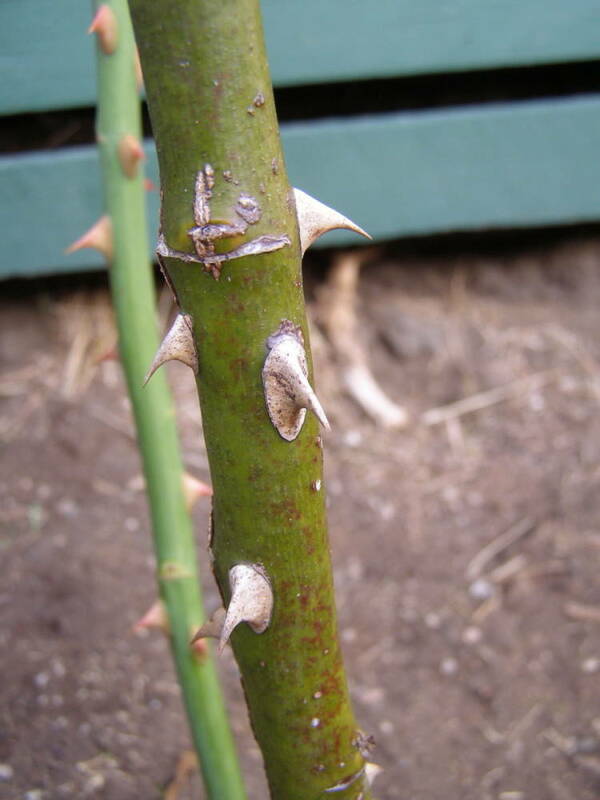 Life’s a bed of roses but watch out for the thorns! The kids and I huffed and puffed digging out all the grass and it’s roots that had been growing and re-seeding for quite some time. Probably not the most sensible thing to be doing at 38 weeks but needs must. This is where my garlic is going to go! I had toyed with the idea a while back, but you know the whole are we staying are we going thing was playing out (still will be). So it’s taken the nesting kick to get me possessed to get them in before baby comes. Which after work like this feels like babe could come sooner rather than later! 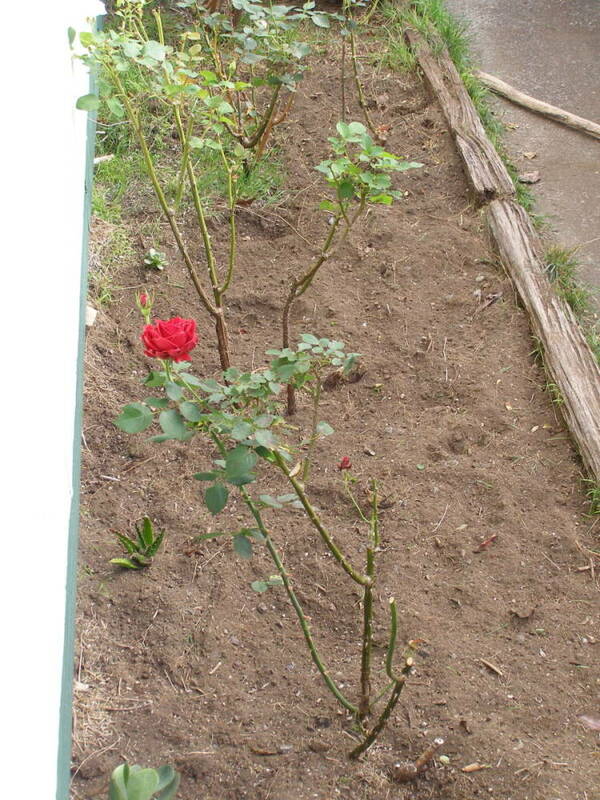 The other rose bed (mm-hmm, there’s two of them) with standards gone wild (now pruned within an inch of their lives) I had thrown a whole lot of bulbs in (daffodils, jonquils and freesias). 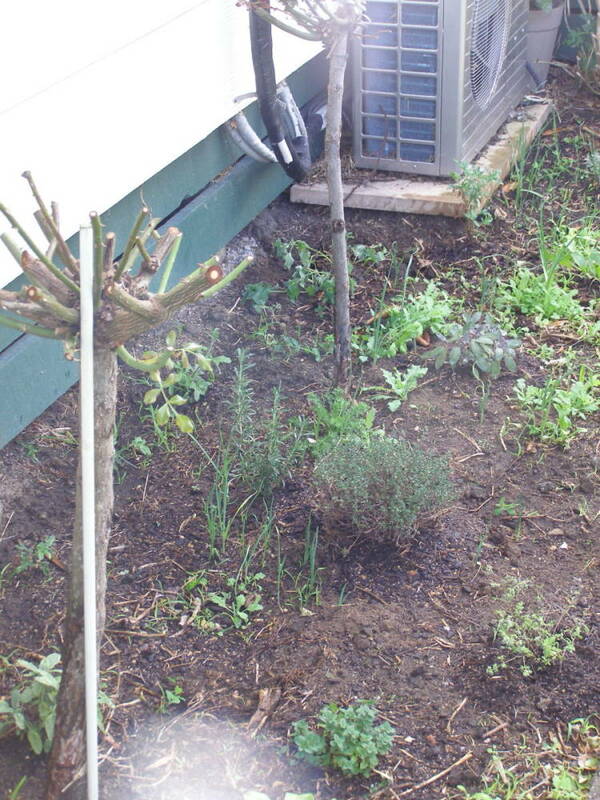 But now spontaneously decided that this would be my herb garden. No more polystyrene boxes! It doesn’t look that flash in the photo, but will look great in a couple of months, just you wait and see!